To this day experts still argue over whether the Yonaguni Monument which lies underwater just off the coast of Japan is man made or simply a natural occurrence. While there is evidence to support the natural theory, looking at the terraced stones and triangular shapes that which make up the pyramid it’s hard to believe such a monument could happen naturally. 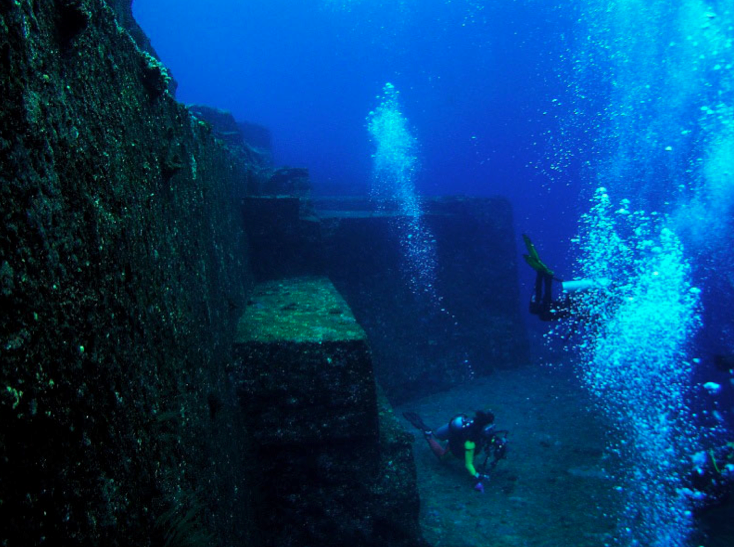 The pyramid rises a massive 250 feet from the sea floor and is a constant lure for scuba-divers for obvious reasons. If the structure was man-made, experts suggest it was likely built during the last ice age at roughly 10,000 BCE.